Would you like to help fundraise for us, while having an amazing time? Skydiving is an exhilarating experience, and you can do this while supporting our cause! Technically the jump is called a ‘Tandem Skydive’. It is a Skydive because you will be freefalling through the air (without the parachute deployed) for several thousand feet; it is in tandem because you will be harnessed to a professional parachute instructor at all times throughout the descent. This is the only way you can jump from such an altitude without spending thousands of pounds becoming a freefall parachutist. This jump is also much less demanding than the traditional ‘static line’ jump as the jump and training are completed in one day and your instructor will be in control of your landing. What must I do to qualify for a free jump? All you have to do is raise £395 (or more!) for Retina UK by asking your friends and colleagues to sponsor you, using our specially designed sponsorship forms which you will find at the back of the information pack. Please do not be put off by this amount – if you ask everybody you know to sponsor you, you will find you can quite easily raise the minimum £395 sponsorship and remember, every penny you raise over the minimum will be further contributing to RP Fighting Blindness and giving you the chance to make an exhilarating freefall parachute jump for FREE! Simply book online by clicking the link below. 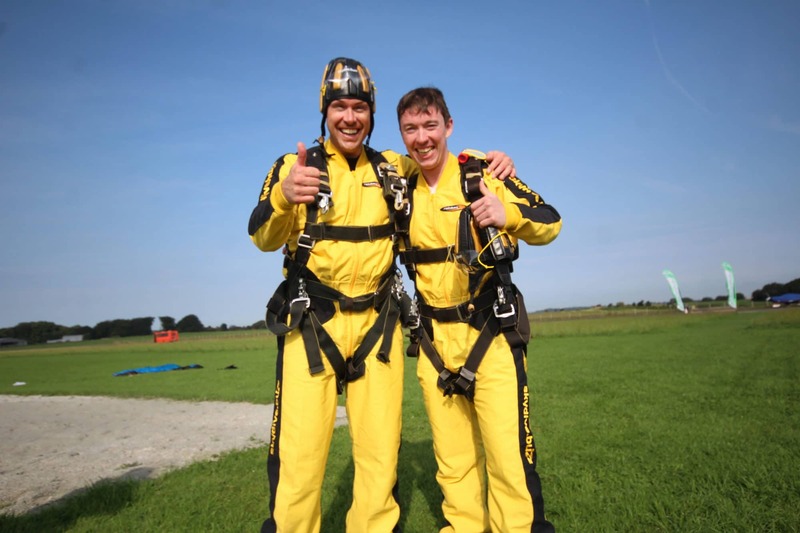 After that all you have to do is make an exhilarating Tandem Skydive from 10,000 feet for FREE! Want to know more? Contact Emily on 01280 815900 or email emily.webb@RetinaUK.org.uk if you want to discuss any aspects of this great activity.